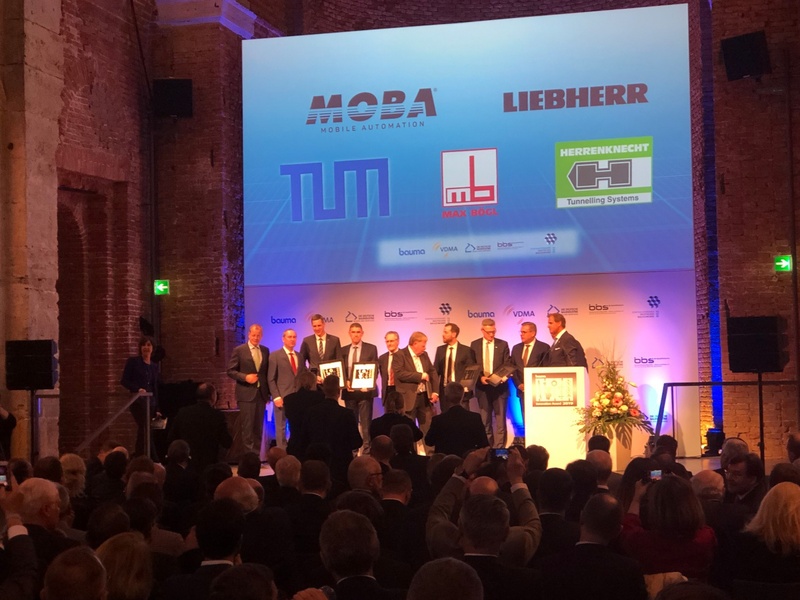 The invitation to tender and award of the Innovation Prize took place for the twelfth time – with invited guests from politics and business and the Bavarian Minister of State Hubert Aiwanger as guest of honour in the Court Church of All Saints in the Munich Residenz. Herrenknecht won the prize in the machine category with its E-Power Pipe®. With this, the company has developed a process for the economical and environmentally friendly laying of underground cables. Cable conduits with a small diameter and a casing length of more than one kilometre can be quickly and safely installed underground. This protects the landscape from major changes and thus enables greater acceptance by the population when it comes to laying power lines. MOBA Mobile Automation reached the first place in the category component/digital systems. With the PAVE-TM system for automatic and non-contact layer thickness measurement in road construction, material requirements can be planned precisely and accident risks minimized because manual remeasurements are no longer necessary. This leads to enormous cost savings and a higher quality of the road surface. 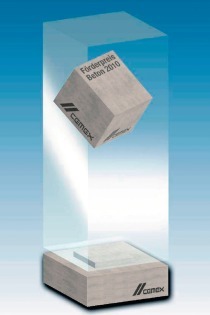 Max Bögl won the innovation award in the category construction/construction methods/construction processes. With a mobile production facility for wind turbines, the company can completely implement German factory production as a mirror image anywhere in the world. In this way it avoids costly transport and promotes the local economy. The Technical University of Munich won the race in the research/science category. Together with their partners they developed a driver guidance system 4.0, which supports the construction machine operators with holograms during their construction site activities. Virtual 3D models and data from different sources overlay real objects and the environment. The operator receives all relevant information in the field of vision. This provides a better overview and facilitates the implementation of changes in the construction process. Liebherr Hydraulik Bagger won the prize in the Design category. With its new operating environment for construction machines, the company takes the next level of digital control environment by combining physical and digital units: it integrates standard tablets into the control environment of a construction machine and implements the requirements of machine operators using an intuitive Graphics Unit Interface. Man will no longer just operate the machine, he will communicate with it. Every three years at bauma, VDMA, HDB (German Construction Industry Federation), ZDB (German Construction Confederation), bbs (German Building Materials Association) and Messe München award the bauma Innovation Prize. This time 138 entries were received, 64 % from Germany and 36 % from abroad. 53 entries were submitted in the machine category, 44 in the components and digital systems category, five in the building/construction processes/building processes category, 18 in research and science and 18 in the Design category. 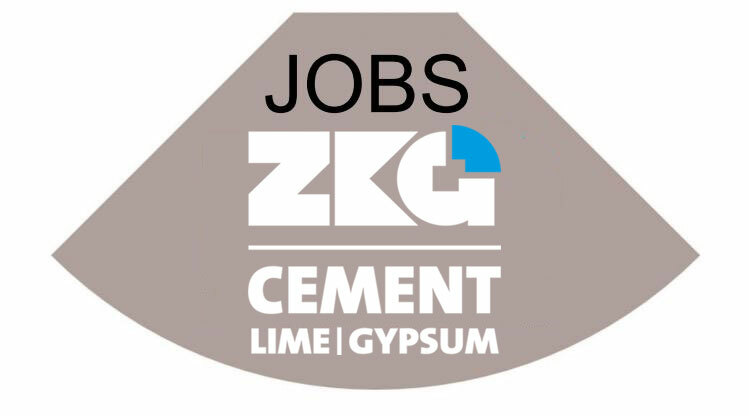 Candidates must qualify in several selection rounds and meet certain criteria. It is about how high the level of digitisation is, how advanced and user-friendly and, of course, how economic the innovation is. Optics and ergonomics also play a role. In the Design category, the combination of form and function is of decisive importance.